Bansal, Bansal & Co. was established in 1989 with the aim of providing value added professional services in various fields. We represent the Spectrum of Knowledge and Experience in the Field of Financial Consultancy, Statutory Audit, Internal Audit and Tax Management. We believe in upholding the highest standards of business ethics with a dedicated commitment to total quality. 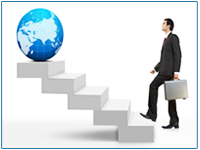 We have built up a networked team of dedicated professionals in the services that we offer. We take great pride in the confidence and respect that we have earned from our clients and strive to improve everyday. At Bansal, Bansal & Co., we are continuously looking for avenues to assimilate value added knowledge, for our people, for our clients and for the society as a whole. We aim to alloy a perfect blend of professionalism with high standards of service, in our pursuit of excellence. In pursuit of our effort, we consistently adhere to our values and our mission, of adding value to every responsibility endowed upon us. In an era, which is a metamorphosis of the old and new, where the only thing remaining constant is change, we have, and will continue to fulfill our promise of value Added professional services.